West Morley Primary School encourages all our families making the decision to drive students to school to display courtesy and respect to the other road users as well as the stipulated road rules and signs. Please DO NOT park on neighbour’s verges or in their driveway, in front of signs or road markings that clearly state “No Standing” or have time restrictions on parking. We are wanting families to role model appropriate behaviour to the students in our care. Your children will observe the way you follow rules and show respect on the road and will likely follow that behaviour. For ease of picking up students please enter via View Street, turn into the main carpark, join the queue if no parking spots are available, then exit slowly via Fitzroy Street. We have allowed parents to park alongside the “Kiss and Drop” parked cars, however we ask the driver of the vehicle to stay in the car. This is to ensure other cars that may be blocked are able to exit. 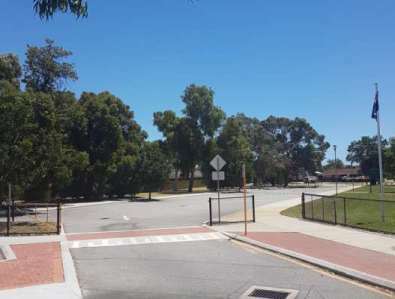 Students should walk along the designated footpaths and cross walks, avoiding walking across the middle of the carpark or roads. Overflow parking is available in Kensington Street, Chelsea Court and some parts of View St. Please note the signage in these streets and follow the instructions. The best solution is to try and walk or ride a bike to school. Most families should be within a very close radius to our school so walking or riding will allow both yourself and your child/ren the opportunity to get the regular exercise we all require for a healthy lifestyle.